Sculpting can be a lot of fun if you have the space, time, and resources for it. If you plan to tackle it at home, you have to be prepared to get your hands dirty. 123D Sculpt is a fun application by Autodesk that lets you sculpt and paint 3D shapes right on your tablet. You will still be using your fingers but they won’t get messy. 123D Sculpt makes designing interesting 3D shapes easy. It contains a library of creatures, vehicles, and other shapes to get you started. Once you have chosen an object, you can interact with it to make it your own. The app provides you with a nice collection of tools to improve your work. You can pull, push, pinch, smooth, and flatten 3D shapes on your tablet. 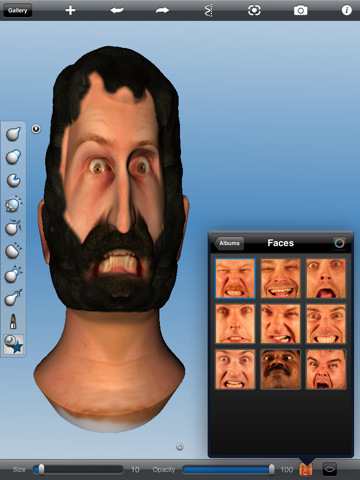 123D Sculpt has brushes and textures for users to use as well. Just like real clay, you can make sophisticated changes to your work (as long as you use the right tools). Once your creation is done, you can share them on Flickr, Facebook, or YouTube. 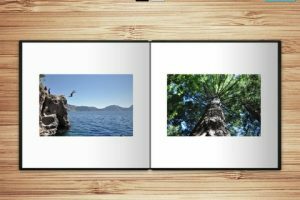 You can also upload your work to Dropbox or email it to your friends. AirPrint is supported too! 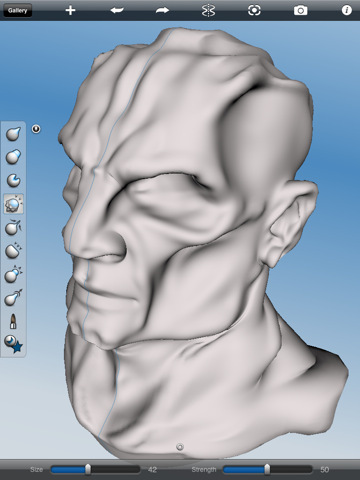 If you are interested in creating interesting 3D sculptures on your iPad, 123D Sculpt has you covered. It has plenty of tools to keep you busy for a while.